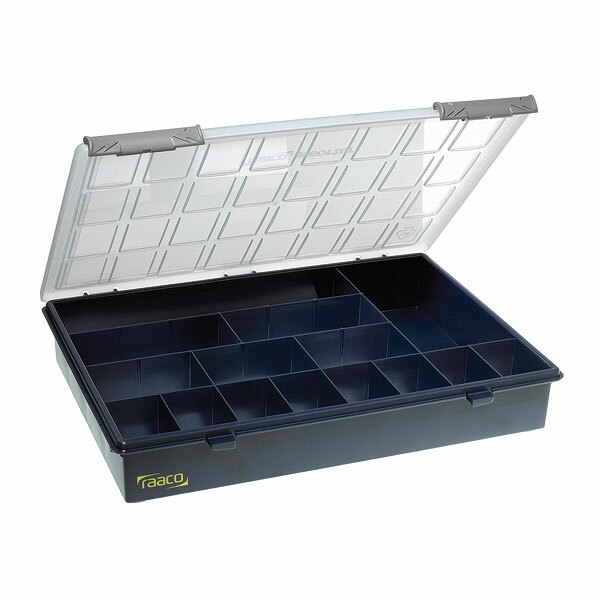 Professional Service Box with 15 fixed compartments. Fitted with sliding locks. Made of polypropylene (PP).